Each dependent you claim lowers your income taxes. Each child you can claim as a dependent lowers your taxable income for the year, thereby decreasing the amount of taxes you owe or increasing your refund. It's no wonder divorced parents often dispute who gets to claim the child as a dependent. 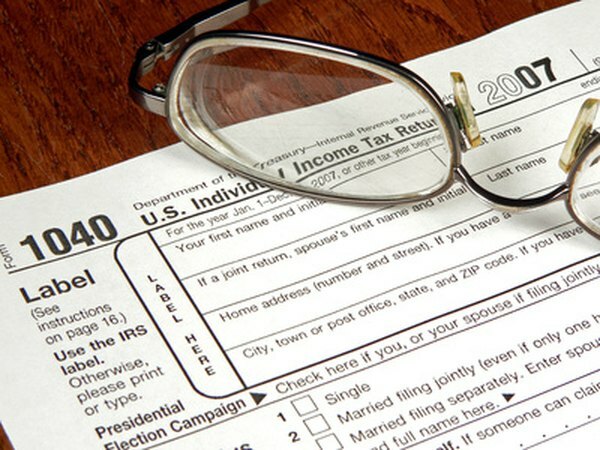 To deal with these disputes, the Internal Revenue Service has rules as to which parent gets to claim the child. The custodial parent of the child is typically entitled to claim the exemption on his taxes. For example, if the child spends seven months of the year with you and five months of the year with your ex-spouse, you are considered the custodial parent for the purposes of determining who gets to claim the income tax deduction. When figuring nights spent with each parent, include nights spent at that parent's home even if that parent is not present and any other nights the child spends with the parent, such as on vacation. If a child lives away from both parents during the year, the child is treated as spending those nights with the parent he would have stayed with under the custody agreement. For example, if a child who would normally spend weekdays with you and weekends with your ex-spouse goes away to camp for two weeks, she is treated as living with you for 10 days and your ex-spouse for four days. If the child spends the same number of nights during the year with each parent, the tiebreaker is adjusted gross income. The parent with the higher adjust gross income gets to claim the child as a dependent. For example, if the child spends half the year with each parent and the father has an adjusted gross income of $100,000 and the mother has an adjusted gross income of $80,000, the father gets to claim the child as a dependent. If the parents of the child have an agreement that specifies who gets to claim the deduction, that agreement determines who gets to claim the deduction as long as the agreement meets the requirements. To qualify, the parents must be legally divorced, living under a separation agreement or separated for the last six months of the year. In addition, the child must have received at least half her support from the parents, live with the parents for more than half the year, and have a written statement from the custodial parent agreeing not to claim the child. Can Grandchildren Be Considered Dependents on Taxes?